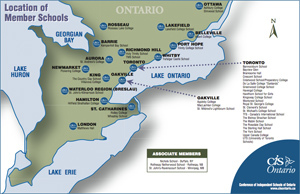 Founded in 1962, Bayview Glen is an independent, coeducational university preparatory school and member of the CIS, CAIS and Round Square organizations. Our students are challenged to participate at their optimum level, balancing rigorous academic schedules with a wide range of sports, special interest clubs, community service activities and spirited school events. Bayview Glen is currently looking for an Intermediate/Senior French and History Teacher to fill a maternity leave of absence from August 2019 to January 2020. The successful candidate for this position will be responsible for teaching French to Grade 7 and 8 students (as we offer reach-ahead programming, the curriculum studied is Grade 8 French and Grade 9 Core French) and Grade 7 History. The successful candidate will also be the Homeroom Teacher of a Grade 7 class. • Participates in extra-curricular coaching responsibilities. • Experience in an Independent School would be a definite asset. Bayview Glen offers a competitive salary and RRSP plan and a collegial work environment dedicated to the professional development of all staff. We invite all qualified candidates to submit a cover letter and resume (combined in one document) to hr@bayviewglen.ca by no later than April 15, 2019. Please indicate the name of the position you are applying for in the subject line. We would like to thank all applicants in advance for your interest; however only those candidates invited for an interview will be contacted. No telephone inquiries or agencies please. Bayview Glen is an equal opportunity employer and we will accommodate any needs under the Accessibility for Ontarians with Disabilities Act and the Ontario Human Rights Code. Please contact our Human Resources Department for assistance if required.